Empower employees to invest in themselves, their health, and their future. High-deductible health plans (HDHP) are quickly becoming the go-to medical insurance choice for employers, saving them money on premiums and helping to control their healthcare costs. By supplementing an HDHP plan with a health savings account (HSA) option, employers will realize major tax savings while helping their employees mitigate the higher deductible costs often associated with an HDHP. Designed to work in conjunction with an HDHP, an HSA is a tax-advantaged account that allows employees to set aside pre-tax funds to pay for qualified medical expenses incurred by themself, their spouse, and any tax dependents covered under their HDHP. And since any contributions made are taken out of the employee’s taxable income, the employer will realize potential tax savings in addition to the money they are already saving by offering an HDHP plan. How are HSAs different from other tax-advantaged accounts? HSAs offer employees the control and flexibility they need when it comes to planning for their future. Here’s how they are unique. HSA balances can roll over from year to year, as there is no “use it or lose it” rule. Contributions are available to protect against unexpected medical expenses, but are not lost if the funds are not needed right away. Employees and their employers can both contribute to an employee’s HSA. HSAs are individually owned, meaning the account stays with the employee even if they switch jobs or insurance plans. This gives employees greater control over how they save and pay for healthcare. HSAs offer broader tax benefits than other long-term savings options, like 401(k)s and IRAs. They are triple tax-advantaged, meaning an employee will not pay taxes on contributions, nor will they pay taxes on interest earned or upon withdrawal for qualified expenses. Many financial advisors even recommend maxing out an HSA before investing in a 401(k) to optimize its tax benefit -- making HSAs a great supplement to a retirement plan. When an employee chooses to participate in their employer-sponsored HSA, they will elect a total dollar amount to contribute to their account, funded in the form of pre-tax payroll deductions. Their election will be deducted from their paychecks incrementally over the course of the year and deposited into their HSA account. If the employer elects to contribute on their behalf, their contributions will be deposited, as well. Eligible HSA expenses include those related to medical, dental and vision that are not covered by the employee’s HDHP insurance plan. We have provided a comprehensive list here. ALLOW YOUR EMPLOYEES TO SAVE THOUSANDS OF DOLLARS PER YEAR ON SERVICES THEY RELY ON EVERY SINGLE DAY. * Catch-up contributions can be made by individuals 55 or older in addition to the Annual Contribution Limit. What makes the Ameriflex HSA different? We're not your average HSA provider. We've been experts in consumer-driven benefits longer than some of your employees have been alive and have learned and adapted our product along the way to offer our consumers and employers the best possible experience while saving money and planning for their futures. We have an award-winning customer service team and are an industry leader in payments processing -- ensuring your employees will have a second-to-none possible experience. We act as your single advisor for all plan administration, with consumer-driven benefits being our core business (unlike your average bank). This gives us the insights to serve as a knowledgeable advisor, helping you to realize better cost savings over time while adapting to evolving benefits rules and requirements. We'll help you design a plan that works for your employees -- one that you can carry wherever you go, even if you were to change HDHP providers. If that plan involves multiple accounts, we'll eliminate the hassle of multiple cards for your participants. We can administer your HSA, Limited Purpose FSA, and HRA -- all on one card. Multiple, easy-to-use options for access and account management of your employees’ HSA funds. Quickly and conveniently pay for eligible expenses. With the MyAmeriflex Card, participants can access their HSA funds instantly when they swipe their card at eligible merchants. In most cases, this eliminates the hassle of having to verify the eligibility of an expense later on. 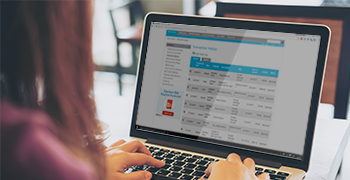 Convenience and award winning customer-service – right at their fingertips! With the MyAmeriflex Mobile App, participants can access their account from anywhere. 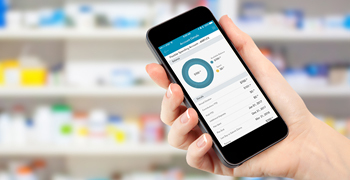 Check balances, check on the status of a reimbursement, and more all from their mobile phone. Account management just got easier. By logging into MyAmeriflex, participants can gain access to resources aimed at helping them maximize the value of their HSA plan. In addition to managing all aspects of their account, they can also access interactive how-to’s, spending calculators, and more.